Jalaine Lost 20kgs and Changed her Life! 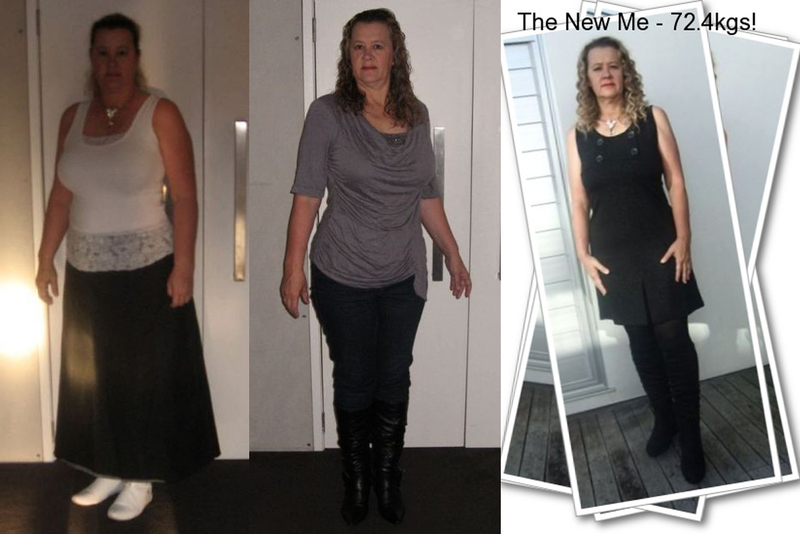 Home Recommended Jalaine Lost 20kgs and Changed her Life! OK, so I don’t like having my photo taken but it isn’t hard to see how my journey with your incredible product and supportive programme has gone. My first phone call to you was the day after I realized that I was now going to need size 18 clothes. I was devastated, I am sure that I had tried every diet and gym programme known to man but I just continued to get bigger. The first photo was taken on 27 Sept when I weighed 93.2kgs I was really shocked to see it as I had found I have avoided the camera for a very, very long time. When I first started I wondered if something so easy would ever be effective, yet from day 1 the scales don’t lie. The second shot was at the end of my first 40 days when I lost an incredible 14kgs and was now getting into many size 14 clothes. This had always been my goal but after my 6 week break, I knew I could do better. Enjoying a wonderful Christmas and New Year I was shocked to notice my weight was stable even after enjoying my families usual abundance! This last photo was taken on 19 Feb 2012 after 30 days on my second cycle. I have discovered the joy of shopping when you can fill the changing room with size 12 clothes and fit it all.! I now weigh 72.4kgs after only 4 months of discovering your product and program. Thanks Graeme & Dee for all your support. You have changed my life for good and for so many of my friends and collegues that I have introduced to your fantastic program.